Posts tagged " blackbeard history "
There is no end to the fascination with pirates. The idea of men without country, charter, law or government fascinate the American public and the world. No such historical character embodies the visceral and romantic qualities of the pirate captain like Blackbeard. Just the mention of that name evokes a response among the emotionally less shock able denizens of the 21st century. In today’s morally open, heavily armed, entertainment driven culture, you would think naval outlaws are not that shocking or interesting. Movies and televisions however, and the public’s consumption of such tales and historical accounts, say otherwise. 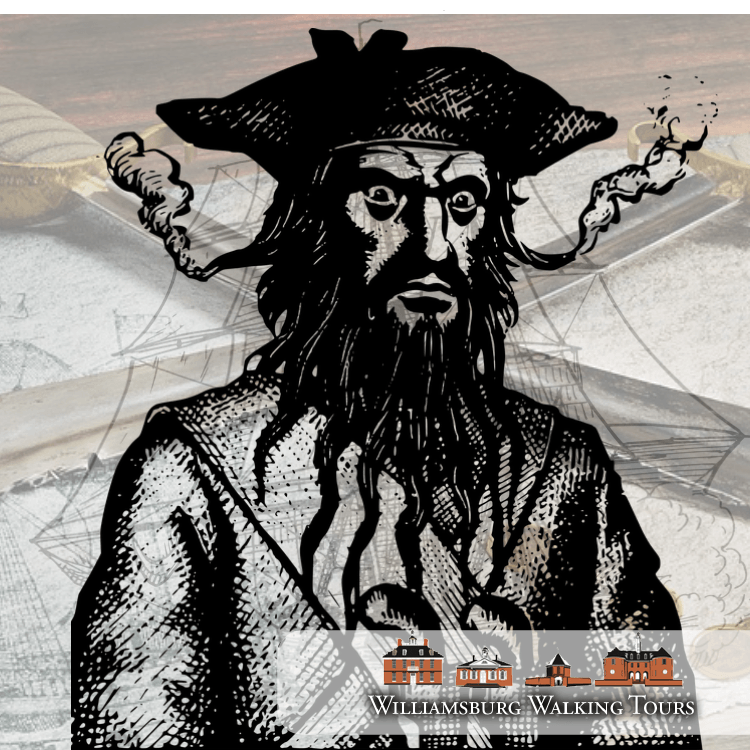 Blackbeard is like the stage name of one of history’s most infamous pirates, Edward Teach. The name itself is almost like a media brand or a Hollywood persona, combining his stature and mannerism with a dubious reputation for tyrannical psychology and violence. But this was not Hollywood, but cold well calculated military psychology. November will mark the 300th anniversary of Teach’s life. Unlike so many people, his life could have been a movie plot. Here are some things which just scream Hollywood action movie that are actually true.. He was an imposing figure with big hat and manicured beard. He would become famous for his captain like regalia. It was this image that led to his reputation and legend, no doubt inspired by his Royal military heritage. A great drama or action movie has a believable backstory. Blackbeard’s starts as a privateer in the Royal navy, serving in the conflicts of what would be the dominant empire of the day. But we all know that a great military is built with indomitable men. Men who can command and conquer their enemies, by land and of course by sea. It was this backdrop that helped groom young Teach to be a great solider and commander, the backdrop of any great pirate commander. Like all great villains, fictional or real, this brush with legitimacy gives him depth. He is not pure evil or hapless pragmatist. At one point he even tries to live the honest life after a pardon from a territorial governor, but this quickly goes array. Like any great action drama the pardon quickly fades into the human paradigm of hypocrisy as the corrupt North Carolina governor accepts a bounty from Blackbeard’s continuing adventures into piracy at the high seas. His one chance to live the honest life is gone and now the very system that is supposed to protect us from criminals, is enabling one. And I think this allows us to build some empathy with a man like Blackbeard. He has tried to go straight but the corrupt world system draws him back in. But all great villains have a dark side. This makes history sway us that this was not a hero but anti-hero. He was brutal to anyone who did not surrender once attacked and was noted to be ferocious in battle, even to the end. But he would spare those who did not fight against him. This application of mercy makes it hard for us to completely write off this man as a byproduct of what is wrong with human nature. We cannot simply dismiss this man as just another miscreant. His story is too serendipitous. His journey to exciting. His moral compass more wildly sporadic than can be neatly judged in the confines of 17th century justice. In a place where things like slavery and Governors cavorting with pirates is acceptable, we have trouble not liking him a little. Now on his birthday we salute this larger than live anti hero, delivering a life that carved out as much from imagination as it did from historical truth.